Human anatomy. Computer artwork showing the anatomy of the palm of the hand. Muscles are pink, nerves are orange, veins are blue, arteries are red, tendons and ligaments are white, and bones are cream. Tendons and ligaments are bands of inelastic fibrous tissue. Tendons connect bones to muscle, while ligaments connect bones to other bones. The fingers consist of phalanges bones, two for the thumbs and three for each finger. The phalanges are joined to the metacarpal bones, which are in the palm of the hand. 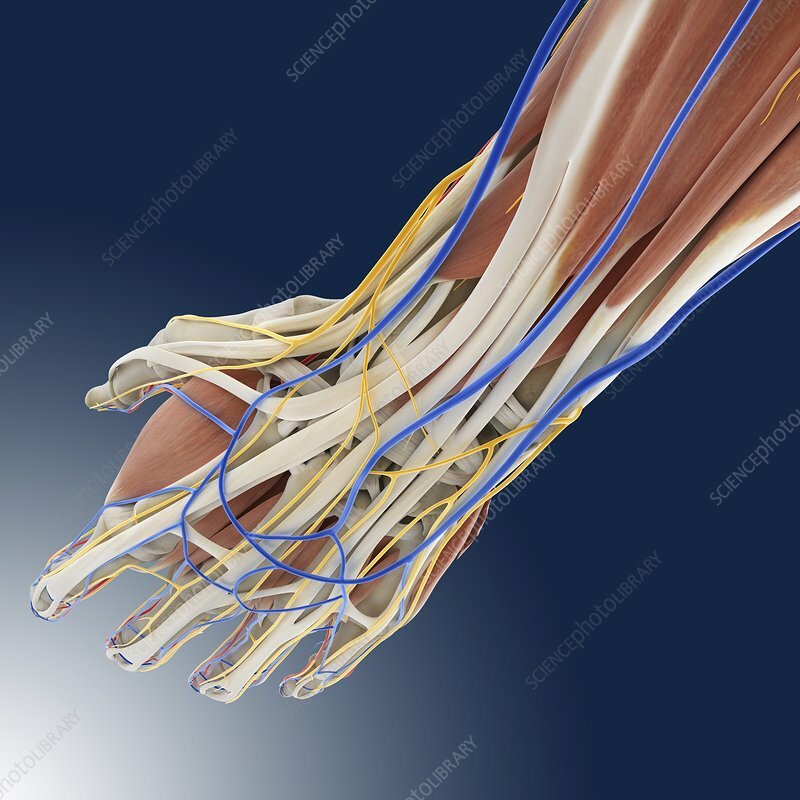 The tendons that run from the muscles of the arm, through the wrist, to the tip of the fingers, flex the fingers.